My Real Children tells the story of the two lives of Patricia Cowan. When the novel opens, the year is 2015 and Patricia is very old. She suffers from dementia, and the notes she writes to herself read “Confused today” — and sometimes “Confused. Less confused. Very confused”. Patricia often forgets things, but she also remembers what seems impossible: two very different lives. Her childhood and her time as a student at Oxford during WW2 are the same in both versions, but her path splits when she either accepts or declines her boyfriend Mark’s offer of marriage in 1949. Patricia goes on to become either Trish, an unhappily married mother of four who embarks on a political career later in life, or Pat, a success travel writer who spends every summer in Florence with her partner Bee and their three children. Additionally, Patricia’s different lives take place in two very different worlds: in one it’s possible to get married on the moon; in the other, the Cuban missile crisis escalated beyond mere words and the world is dealing with the effects of nuclear fallout. I loved My Real Children. It’s kind of a big deal to call it my favourite Jo Walton to date, and I’m not sure if I’m ready to do that quite yet. But I can say with certainty that I read this novel with unreserved pleasure: it moved me, it roused me, and it reminded me of why I read. Several reviews I’ve read so far emphasise the question the novel poses — would you prefer a life of personal happiness in a politically scary world, or a life with more immediately obvious struggles in a world that’s on the right track? — but this is a question I’m more interested in seeing explored than in seeing answered in a definitive way. Now or never, Trish or Pat, peace or war, loneliness or love? She wouldn’t have been the person her life had made her if she could have made any other answer. The other big question the premise of My Real Children poses is this: to which extent are the differences between the worlds Pat and Trish inhabit down to Patricia’s choices? Can you draw a simple line between cause and effect? Has Patricia “been somebody whose choices could have changed worlds”? My answer to that last question is an unequivocal yes, but at the same time I see the relationship between Patricia’s choices and the direction the world takes as part of a nonlinear, butterfly effect type system more than anything else. The reason why I shy away from a reading that emphasises direct causality is not only my knowledge that life is complex and big changes unfailingly have multiple causes, but also the fact that directly aligning a life in which a woman is in a happy and fulfilling queer relationship with “bad” choices that lead to a nearly apocalyptic world makes for uncomfortable reading. To be clear, I think My Real Children is too smart and nuanced a novel to suggest any such thing — and needless to say I loved it for it. Something else I really liked is how even though the novel is alternate history, it’s very much grounded in the details of women’s lives over the course of the 20th century. We watch how Pat and Trish’s lives are affected by lack of access to contraception, by laws that don’t allow married women to carry on working, by single women being denied mortgages, by lack of basic rights for lgb people, and by how this makes things like travelling abroad with minors or visiting a loved one in hospital infinitely harder and more painful than they need to be. Pat and Bee’s contemporary Britain is a worse place to live in than our own, as the civil liberties that have been achieved in the recent past are nowhere in sight there. For example, as two women living together they’re regularly visited by social workers who can choose to turn a blind eye (or not) to the reality of their relationship. But, importantly, the discrimination they face is nowhere near outside the realm of what is, or in some areas has until very recently been, possible in our world. Trish, on the other hand, is in an oppressive heterosexual relationship, and the first few decades of her adulthood are shaped by the fact that she’s denied control of her fertility. Trish is eventually introduced to “women’s lib” by a friend, and although she feels that in some ways feminism has come too late for her, I think the novel does an excellent job of illustrating its power. Trish’s story captures the sheer dizzying relief of realising problems you’ve interiorised are in fact systemic; of learning, at last, that you are not alone. The vast thing you’ve struggled with is not you, but a flaw in how the world is organised — a flaw that a swelling tide of people are determined to challenge and correct. It can be easy, in the age of connectivity and easy access to peer groups that are shaped by shared priorities and interests rather than by accidents of geography, to forget how enormous this is. This brings me to the quote I opened this post with: watching Trish’s life improve as the twentieth century advanced made me feel grateful to everyone who fought to get us here. The quote is not, of course, an appeal to complacency (this is Jo Walton, after all, author of the glorious Small Change trilogy), but a recognition that memory is useful. We can combine our determination to fight on with an acknowledgement of past victories, especially when the latter are a source of comfort and hope in the face of daunting future struggles. There’s still a long way to go, but look, look — we’ve made it this far. Lastly (and another reason why I resist reading this novel as a straightforward exercise in either/or), I really liked that My Real Children acknowledged that there isn’t a single script for happiness. Early on, Pat is visibly happier than Trish, but as their lives progress the difference becomes far less clear cut. I especially liked that Walton took care not to portray Trish’s life as unrelentingly bleak because she doesn’t find the same kind of romantic fulfilment Pat finds with Bee. After separating from Mark, Trish is briefly involved with a visiting academic, but the rest of her time is devoted to her friendships, to her work, to her family, to the causes she believes in — and this is far from an empty life. I liked seeing the story of two well-lived lives that deviate from the scripts we normally recognise in more ways than one. Hi, Nymeth. Long time, long time. I'm still alive. Haven't been blogging though. I started reading this awhile back but got distracted. Looks like I'll be picking it up again soon with this review, though I skipped the spoilery parts. Looking forward to finishing. I only read Among Others and it was lovely. Book twin! <3 Always lovely to hear from you. 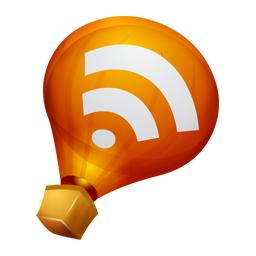 You've been missed, though don't worry about not blogging - I know life gets in the way. I hope you enjoy this book as much as I did when you pick it up again. Among Others was indeed lovely, but I think I liked this even more. I liked that Walton doesn't suggest a direct causality in the two worlds, as you say -- it's absolutely a butterfly effect. But I also liked the notion that personal satisfaction, and happiness and contentment, are not the only things we should be striving for -- and indeed that personal contentment may lead you to complacency in a sense, to not striving for the things that you value. Again, I'm with you on its not being a one-to-one correlation, but there were a lot of things to think about at the end. I read and reviewed this recently also! Overall, I thought it was a gorgeous book. I did have some minor quibbles--mostly because I wished Walton had retained even more of the complexity you allude to rather than just casting the choice as personal happiness vs. public good. It's definitely a book that will stick with me, though--haunting and inspiring and beautiful, all at the same time. Jenny: Yes, exactly - the novel makes an argument for paying attention to the world and reminds us that individual contentment is not the *only* thing to strive for. But I also liked how it never says that personal happiness will inevitably lead to complacency or lack of engagement. I really liked the scene, for example, where Pat and Bee decide they'll never again just completely ignore the news for months on end, and how it's a reminder that they do have a choice. Tamsin: I can see your point, but for me the final chapter left it open-ended enough that I could walk away with an answer that satisfies me and retains the complexity (which is, as Jenny says above, to strive for both). I think the fact that the novel never spells out the answer is meaningful, and it's something I really liked. I love alternate timelines, and this novel sounds terrific. This author has been on my wishlist for a long time, but I haven't read anything by her yet. I will add this title to my list. Reading your lovely review also reminds me that we need to keep thanking older women for the battles they fought. We keep benefiting from their actions long afterwards. glad you loved this one! I had almost the same thoughts about how much better life is for women now than in the 1940's-1960's. I just want to hug older women now! I read and reviewed this one too a few months ago. This was my first Walton book and I love the hell out of it. You brought up a great point about how Walton doesn't skim when it comes to the details of women's lives. I wish more novels did this same thing. I can't wait to read Among Others. The premise of this reminds me a little of The Post-Birthday World (which I LOVED) so I'll be picking this one up. Thanks for raving about it! 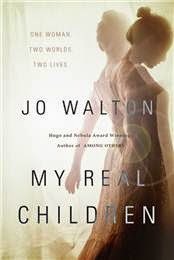 And there I was, thinking I was on top of the new books coming out by authors I like, and somehow this got out and I never even heard of it, and I really enjoy Jo Walton!!! Yikes. So....*hangs head in shame* I haven't picked this one up yet! And I will, I like so much of her writing. This one sounds fascinating. A what if story and about choices and changing the world, and what we mean by the world we change. Wow. Great review, as ever, Ana. I enjoyed how you reviewed it. Another book added to my to-get list. I cannot wait to read this one! Especially after your and Jenny's reviews. It just sounds exactly like what I would enjoy. And Walton is SO AWESOME at ambiguity and what ifs.